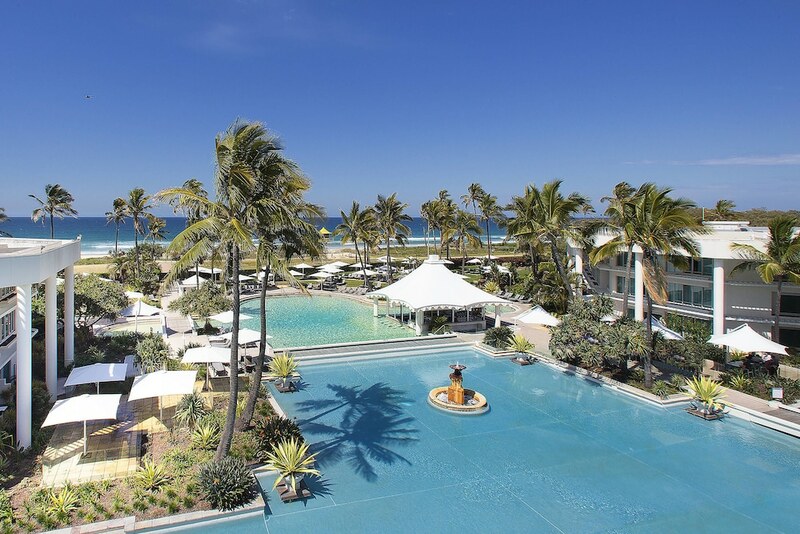 When you stay at Sheraton Grand Mirage Resort, Gold Coast in Main Beach, you'll be connected to a shopping center and minutes from Marina Mirage Shopping Centre and Mariner's Cove Marina. This 5-star hotel is close to Sea World and Chevron Renaissance. Make yourself at home in one of the 295 air-conditioned rooms featuring refrigerators and LCD televisions. Cable programming and iPod docking stations are provided for your entertainment, while complimentary wireless Internet access keeps you connected. Private bathrooms with shower/tub combinations feature complimentary toiletries and hair dryers. Conveniences include phones, as well as laptop-compatible safes and desks. Relax and unwind with massages, body treatments, and facials. After a day at the private beach, you can enjoy other recreational amenities including an outdoor pool and a spa tub. Additional features at this hotel include complimentary wireless Internet access, concierge services, and gift shops/newsstands. For lunch or dinner, stop by Terraces, a restaurant that specializes in seafood. Dining is also available at the 2 coffee shops/cafés, and 24-hour room service is provided. Relax with a refreshing drink from the poolside bar or one of the 2 bars/lounges. Buffet breakfasts are available for a fee.